Not surprisingly, these fixed organisms almost always have free-swimming larvae that find places to settle and ensure recruitment and gene flow between populations. 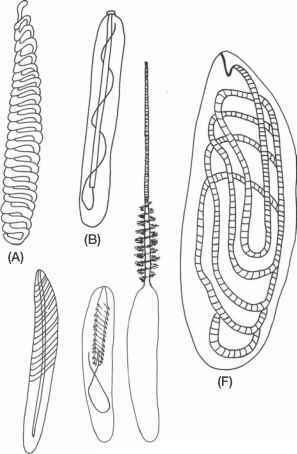 The larval tail, with a complex array of muscles and nerves, stiffened by the rod of notochord cells and guided by pigmented sense organs, propels the larva in specified directions (rather than passively drifting around as do the ciliated larvae of most other invertebrates). 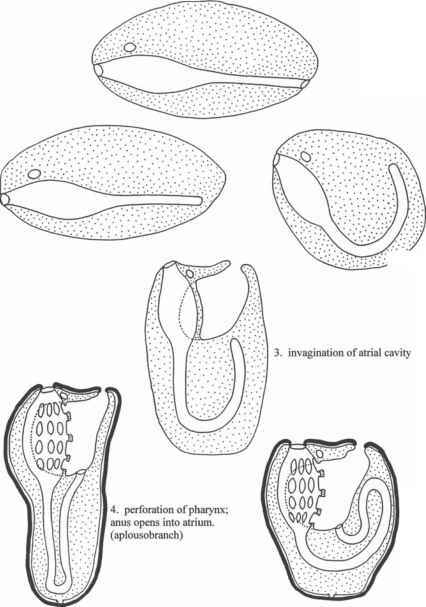 Responding to gravity and light, the larvae first move up to the light and away from the sea floor for dispersal, and then down toward the sea floor and into shaded places for settlement and metamorphosis (when the tail is withdrawn into the larval haemocoele and is resorbed). parent colonies. This strategy maintains relatively large populations and hence opportunities for fertilisation (as does the profusion of suitable habitats in tropical locations). Despite pressures to maintain populations by reducing the length of larval life, tailed larvae persist in most ascidian species and maintain gene flow by chains of recruitment through the vast geographic ranges that appear to characterise the tropical ascidian fauna. Direct development, without the intervention of tailed larvae occurs only in some species in open sea floor habitats.